The Quickslide™ Wheel Chock Kit will help secure the front tire on a motorcycle while tying down and hauling. 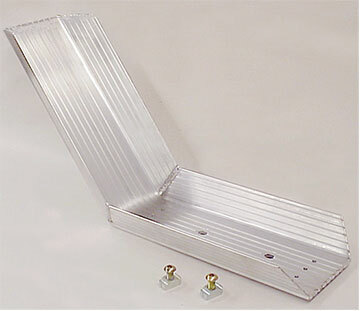 It is adjustable the full length of the Quickslide on the deck of the trailer. Works great if you need to stagger cycle handlebars or move your cycles for tongue weight.